https://drive.google.com/drive/folders/18TVaE1a6qDpfNSiWP2YYIDeIwypk4NhG?usp=sharingOne of my favorite things about Christmas, is counting down to it. 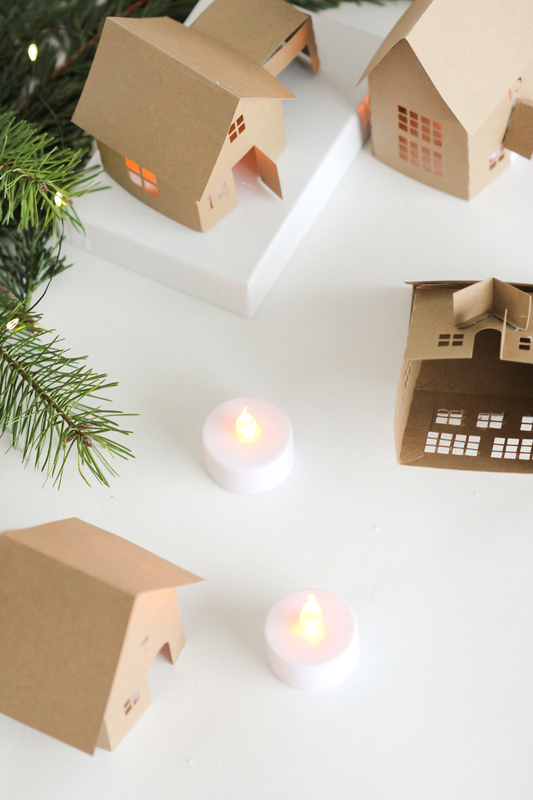 When I saw these paper advent houses from Grosgrain, I fell in love! 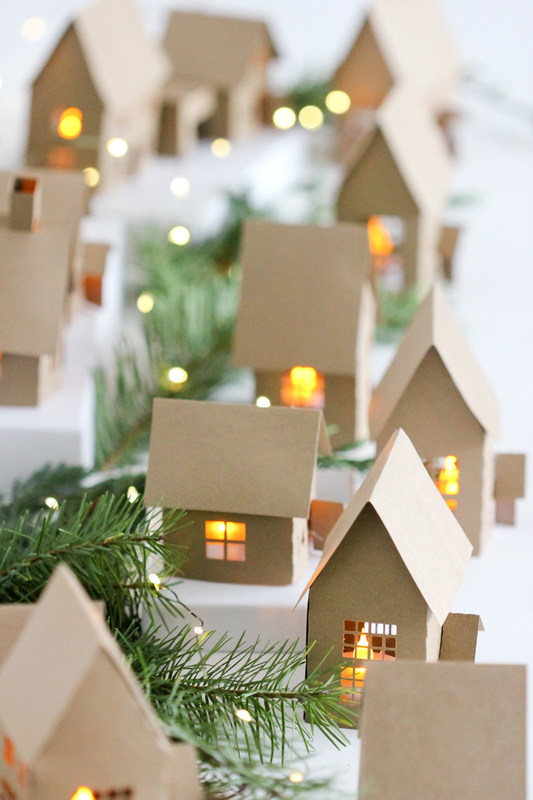 I wanted to recreate the same thing for my house, but I needed the paper houses to be smaller. I don’t have a mantle, so I’m planning on putting them on the top of my piano. I decided to take on the challenge of designing my own paper houses using my Silhouette and I think they turned out pretty cute! They are a lot simpler in design which makes them great for personalizing however you want. Dress them up with snowy glitter on the roofs, paint on fine details, or choose a gradient of papers in pink or green. 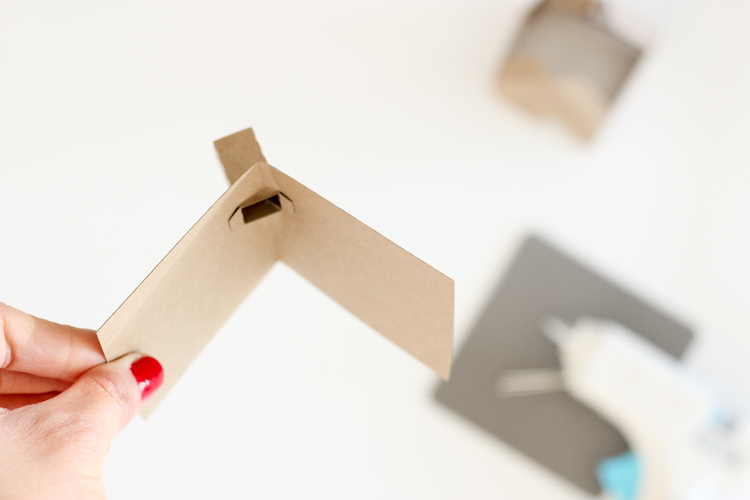 I chose to keep things uniform, and simple in all kraft paper. There are lots of possibilities! Plus, the cutting files are free! STEP ONE: Download the cut files. Here are 25 Silhouette cut files. All of these files are offered through Google Drive. If you have trouble downloading them from Google Drive, you can email me at delia.randall@gmail.com and I can email them to you. Please be aware, that it may take up to 10 business days for me to reply to your request. Check your firewall, security settings, etc. or try another computer if you need them sooner. If you don’t have Silhouette here is a pdf version that is similar. It only has three houses styles and no numbers, but you can easily add them yourself. I actually designed five houses (three for the pdf file), and repeated the design five times to achieve 25 houses. To help break up the monotony I exchanged the roofs and the little portico awnings. I have also included extra chimneys and portico awnings with the first two houses. You may need to trim some roof lines down, if you switch them up, but that is an easy fix and can even be done after gluing the roof on. STEP TWO: Cut the files and weed them out. The houses include the numbers already cut into the houses, so that helps save a step! ***Be sure to set your cut settings to overcut by .1 or .2. This will help you achieve a cleaner cut and will make the window weeding soooo much easier. TIP: This is a lot to cut. I recommend cleaning out your blade and physically resetting the blade setting every few houses or so. I’m not sure if my blade is getting dull, but after about 2-3 houses, if I twisted the blade numbers up and down and then back to the original number I needed, it just seemed to cut better. If you run into trouble, try that and see if it helps. STEP THREE: Assemble the houses. The fold lines are perforated, except for the roofs. Those are left flat, so you can have flexibility to fold them how you want. I didn’t make any of my roofs asymmetrical, but with this cut file design, you have that option. And the rest is all glued at the tabs with low temperature hot glue. Easy peasy! It sure is fun to see all the houses lit up. 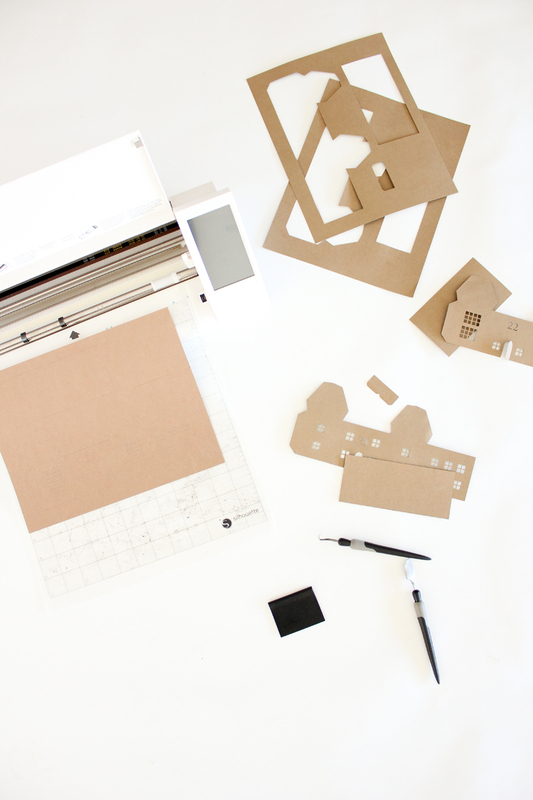 If you like a more modern house, Brooklyn Berry create cut files for THE cutest 60’s/70’s style paper houses. Go HERE to check them out! Disclaimer: This post was created in partnership with Silhouette. All content and opinions are my own. Thank you for supporting the brands that help support this site! Little House Gift Boxes – Free Cut Files Gingerbread House Paper Gift Boxes – Free Template + Cut file! 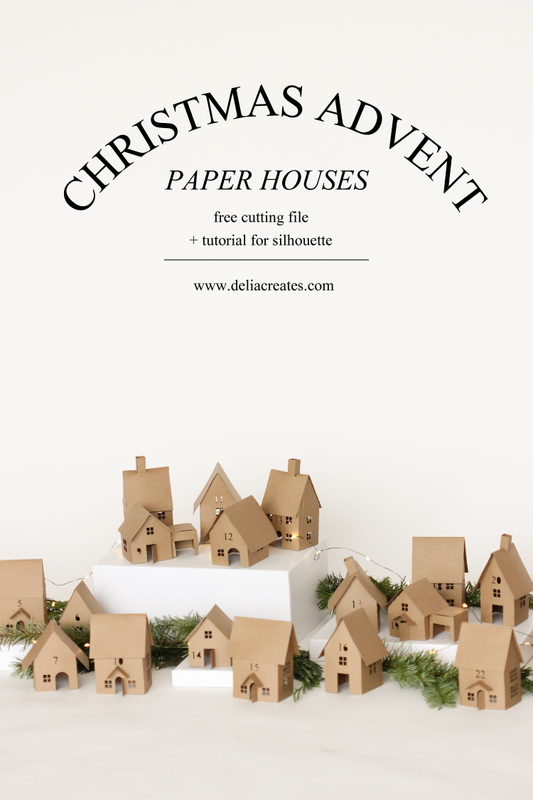 Paper Holiday Houses – free templates! 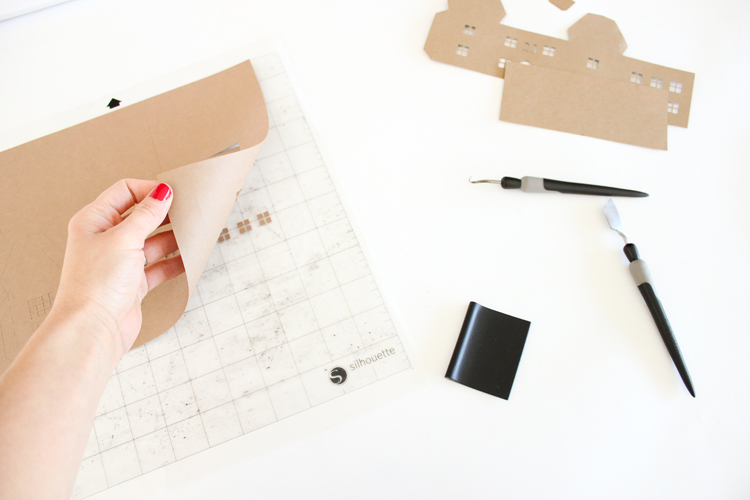 Easy Christmas Advent Box [for busy moms] DIY Paper Halloween Houses – free templates + cut files! WOW! Been thinking of making something like this but have been daunted about the amount of work involved! But seeing this, I am not so very very very inspired! Thank you so much!!! I am so glad it inspires you! Having a cutting machine helps so much. The cutting process still takes a little while, but it’s easily done while doing other things…like assembling the houses. :) I got it all done in one late night. It took me a few hours (but I was creating and tweaking the files as I went) so it should be even faster for you! Oooh…you could totally mess around with the Silhouette studio file and try that. You may have to cut the roof out on another piece of paper but that’s easily done. I love that idea! What a pity….2015!!!! Like your Village.. Thank you! :) The giveaway is over but you can still use the house download for free! These little houses are adorable!! I haven’t tried any of there products, so any and all?! I love this giveaway! And all that work designing the houses, thank you! They are adorable. I’ve used a cricut for many years and there’s just no comparison when it comes to the creativity available from the silhouette, so I’d love to win one. Thanks! Also, I tried entering from my phone but was having issues, so I switched to my computer. So there might be a duplicate entry under my email, just disregard and sorry about that! No worries! :) Thanks for letting me know. Discovered too late you have to live in the US of in Canada, though I would cover the shipping costs with a smile… too bad. ;-) Tagged an American friend anyway! The little houses are beautiful! I don’t have any of their products and I have wanted to try the cameo for a while! I would love to win, thanks for the giveaway. Happy thanksgiving! These are adorable!! I don’t do as much crafting these days as my time is so limited so I’m always thinking I don’t really NEED a silhouette. But then I see an amazing project like this and I want to buy ALL the silhouette gear and make everything. Haha. Great job Delia! I would really love the stamping kit, my kids would have hours of fun using them! I am hoping for a set of sketch pens and some replacement blades and mats. An extra machine wouldn’t be sad though! The CAMEO is at the top of my list, but I’m also intrigued by the Curio and I could use some basic accessories too. Love! I would like to make some nice cards for my family. I would love to win a cameo for my mom for Christmas. I have been DYING to get a cameo. I hope I win!! I LOVE advents! This is absolutely adorable. Thank you so much for sharing the files!!! I would love to make my own crafts instead of having to buy kits. Making cut-outs to give as gifts would be lovely, too. I would love to try the Cameo cutter- I have seen these things on the market for years and there are so many things to use them for! 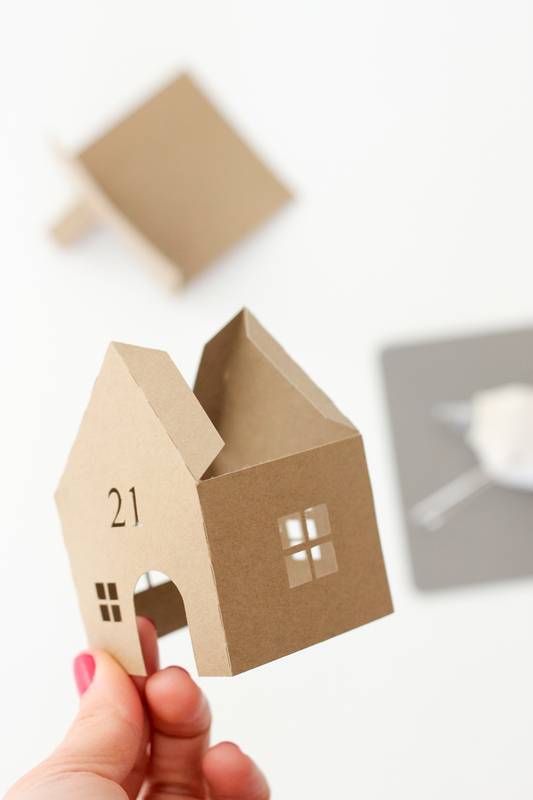 I’d love to try making those advent houses- my kids would love them (and also probably wreck them, lol) and also try my hand at making cards. I love those houses! This type of project would be painstaking to do by hand. Need a Silhouette! I love vinyl!! silhouette is perfect for that! Super cute idea! If I win the silhouette, I’m totally doing this! Thank you for the giveaway! Wow! What a great idea! I want all the silhouette items!! Love my portrait. I just need everything silhouette!! Such a great product and a boost to anyone’s creativity. Oooo, these are so great! 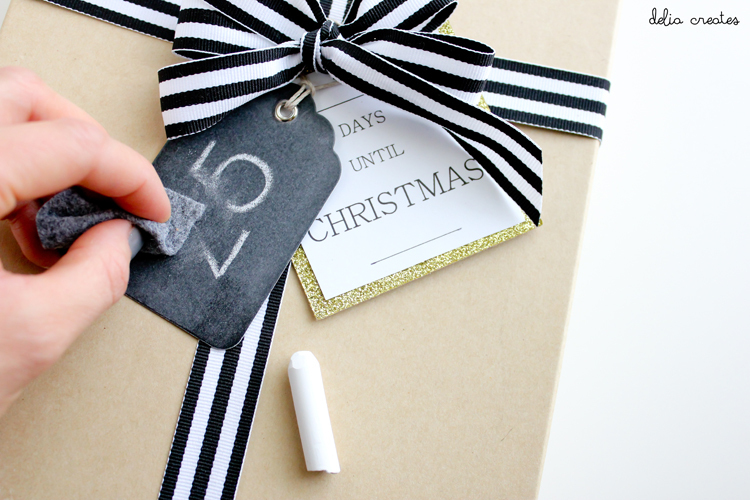 Love the monochrome look with the Kraft paper. With a little tweaking you could create a ghost town for Halloween, too. Silhouette makes such amazing products. The Cameo has been on my list for quite some time. Thanks so much for the opportunity to win one of these machines! Love your blog! I have wanted a Cameo for so long, and already have a long list of projects that I want to make with it. It would be nice to have a deep cutting blade to go with it to to tackle the harder items to cut. Would love a silhouette to do vinyl projects with! Any of the Silhouette products would be a fantastic upgrade from my 10 year old, 6 in, cartridge-driven Cricut cutter! Also, as a mom of a child who has fructose malabsorption, I’m REALLY loving this non-candy advent option! I love the idea of putting one light in at a time, to eventually light up the entire village. These are gorgeous! I’ve always wanted a Silhouette Cameo, but have never had the money to buy one. That’s the product I’d like this holiday season. I would love to win. I have been wanting a shillouete for a long time! These are absolutely adorable! I love the idea, but have a narrow mantle, so I may have to spread them around…if I win the silhouette, that is. It would be the most amazing Christmas gift!!! Thank you for the chance to win! I love the little homes, how clever and stunning! My daughters and I would love the cutter, it would be so fun to try so many neat crafts on the Cameo. 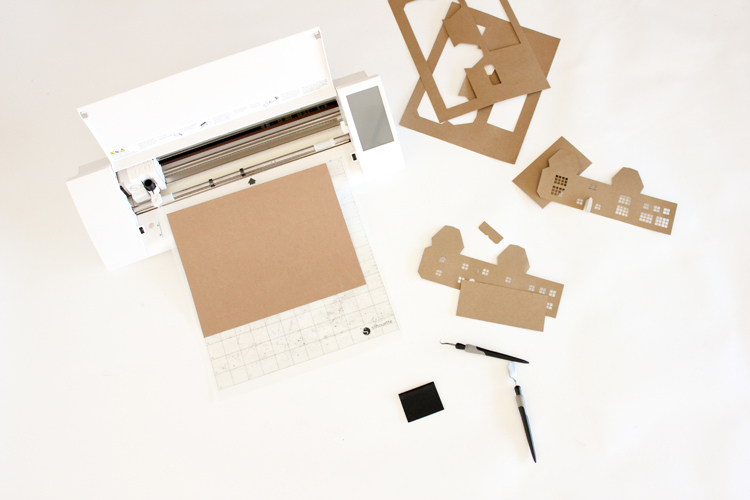 We have the older Cricut sliding paper cutter, I’m guessing it would take forever if we attempted it on that. These are really cute. And I’d love to win a silhouette! Such an awesome giveaway! I’m just finally looking into taking the plunge and hoping for a cameo… i have a huge list of stuff to make! I don’t have any silhouette products yet, so I’d be happy with anything. I’m especially interested in creating templates for glass etching and cutting fabric for appliqués. I like the Mint because it’s cute and portable. I would love to try the adhesive vinyl. 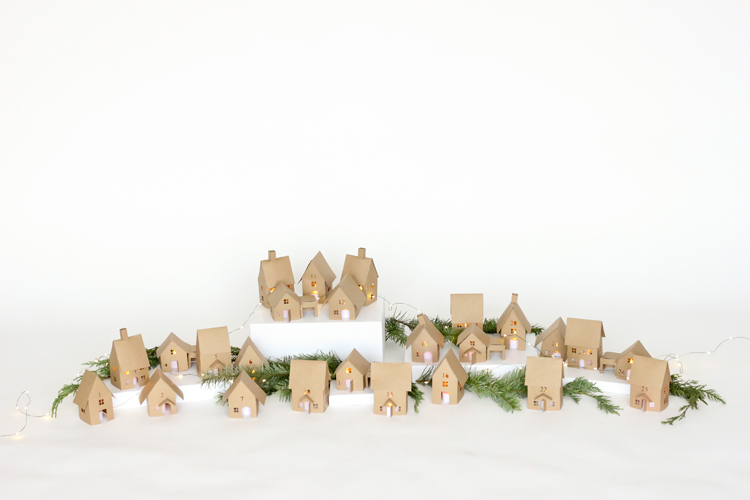 I have love little Christmas houses since I was a little girl, and this tutorial is fabulous. Thank you. These are so cute! I love the simplicity and yet it looks so cozy. just a regular old Sillouette would be amazing!! :-) thank you!!! I really want a cameo and tons and tons of vinyl! I have so projects that I’ve been imagining for years! I just needf the cameo to make them happen! Thanks for the giveaway. I would love to get just the actual machine! I really want to add so appliqué to my quilts!!! I have been looking all over for these! These are perfect! Thanks so much for sharing and for making them free! You are the best! Happy Thanksgiving to you and your family! I’ve been wanting to try one of these for awhile! I have so many ideas from cards to tee shirt designs! I would love this! Thanks for the giveaway! I’d love a cameo! The more I see the more impressed I am :-) thanks for the giveaway, Delia, and happy thanksgiving! I love seeing projects like this that go beyond vinyl letters. I would love anything silhouette for Christmas, crossing my fingers for the win!! The Silhouette Cameo looks great. I’d love to do more applique and this looks like it would really come in handy. Thanks so much for the chance to win. Those houses are so cute!! I would love to win a silhouette! Always wanted one! I would love to win this for my daughter, Thanks for the chance. Those are really cute! I love the windows! Who wouldn’t want a Cameo. It has been on my list forever! And thank you for a very fun post. Love the Christmas village! I’ve been trying to justify buying one. 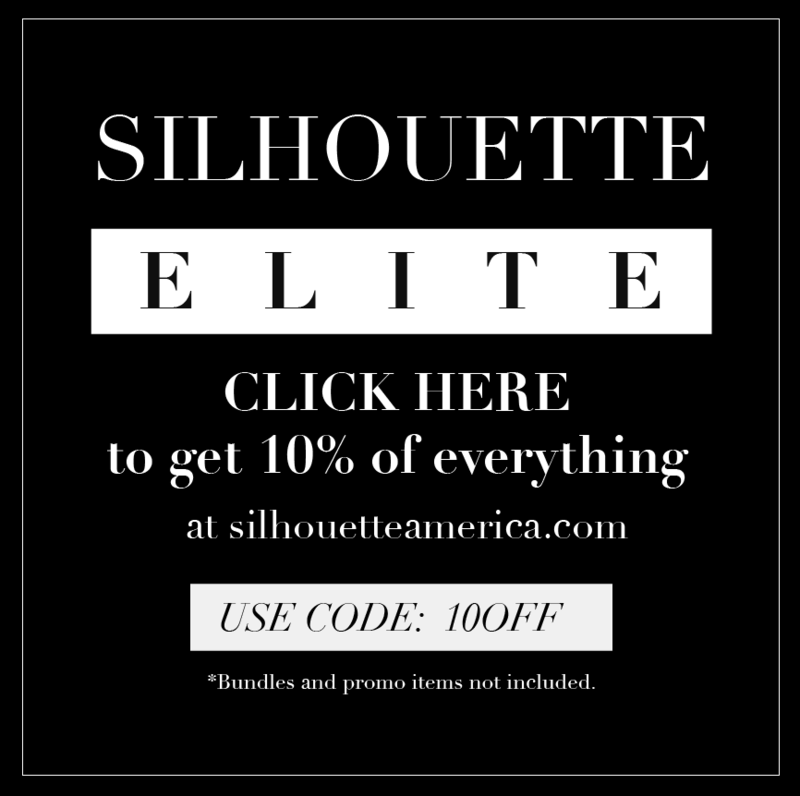 I’d LOVE to win any Silhouette product!! I have always wanted to try a cameo to make vinyl cutouts and fun designs! Thanks for doing this giveaway. Hope I win! Well if those aren’t the cutest houses!!! I love all of the creativity that can be inspired by the silhoutte! From my classroom to my home, the options are endless! Thanks for the opportunity to participate in this giveaway! Blessings and Happy Thanksgiving! I love these house, and your blog. Thanks for the amazing giveaway! I would love to win a silhouette! I own four sewing machines but no cutting machines, so I feel like this would round out my collection nicely. Thank you for the generous giveaway! Hope you have a lovely Thanksgiving! These look awesome! Thank you for sharing! Lighting up another house each night is a fabulous idea. I’ll have to look for some patterns to cut by hand. Thanks for the inspiration! These are so cute! I want these in my home! Thanks so much! It must’ve been a ton of work to get these all designed! Thank You! I’m making them tomorrow afternoon! Yay! Thanks Robyn! It was, but it was fun too! Happy crafting! Sorry about the download trouble. Email me: delia.randall@gmail.com and I can send the files to you that way. I love your little Christmas houses, unfortunately I can’t open them. :( I would appreciate it very much if you could email the patterns to me. Of course! I just emailed them to you. 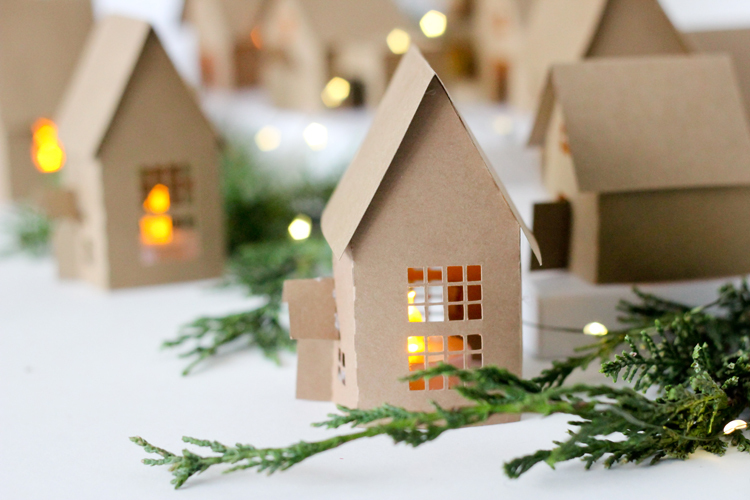 I absolutely love these adorable and beautiful little paper houses. What is there not to love!! I would love to try the various different things on the Cameo that you find on Pinterest. Thanks so much, houses are my favorite design tools. I have made them with my silhouette out of white cardstock and placed on my christmas tree over the lights.. and made them as table center piece groupings for my friends party.. and so much more.. I just love them.. and also love to decorate each one. I can’t thank you enough for the files you created/modified, I will really enjoy them. These are amazing! I wish I had found them sooner – I would of made ornaments out of them! There is always next year, and I can start now for next year! 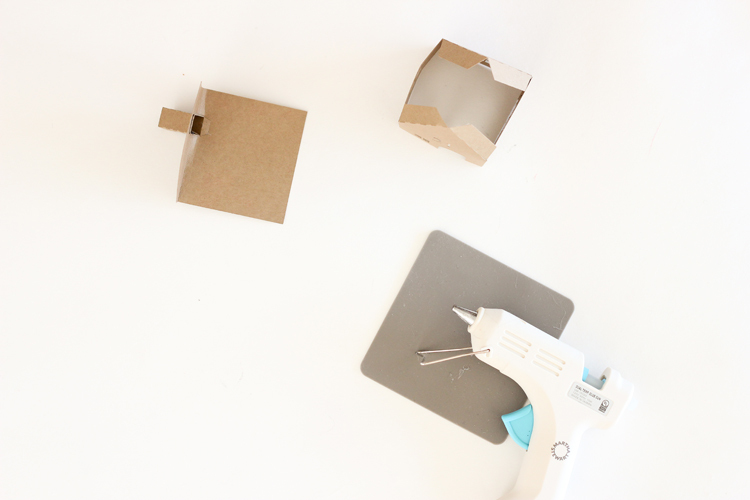 It’s never too early for DIY stuff and you have made it so so so easy for those of us who can’t design a THING with our Silhouettes! Thank you, thank you!! I know you said the houses were silhouette. I’d need SVG files. I have and love my brother scan n cut. I love your Christmas houses and would love to make them next year. I bought my daughter a die cut for a basic house, she loves having “her own” to make and color design and fold. But is getting board. These would be fun for her and friends cut out in white. Working on Christmas 2017. I have a Silhouette Cameo 3 and a Cricut Air Explore 2. 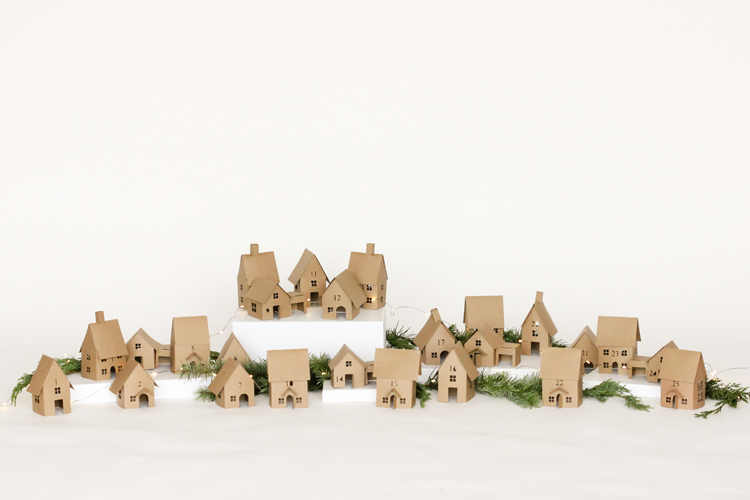 I have designed many things in my Silhouette so I know it took some time to design all of these adorable little houses. Thank you for sharing. I am looking forward to making them. Perhaps I will cut out several sets and get together with family and have a day of fun, sharing and making them. Where did you get the cardstock and what brand and thickness is it? Great question. It’s kraft paper from Micahels, Recollections brand. I don’t have the packaging anymore so I believe it’s 50 lb. or 60 lb. paper. I hope that helps! Hi. Love your houses but don’t have a Silhouette Cameo. I have seen something similar with battery tea lights hung from a wooden embroidery hoop and they looked stunning! Also love the tiny baby cribs I have seen in explosion cards on Pinterest. Are you or anyone you know willing to cut me some? I live in Australia.Of course, I would be willing to pay for both materials and postage. Thanks Jenny! 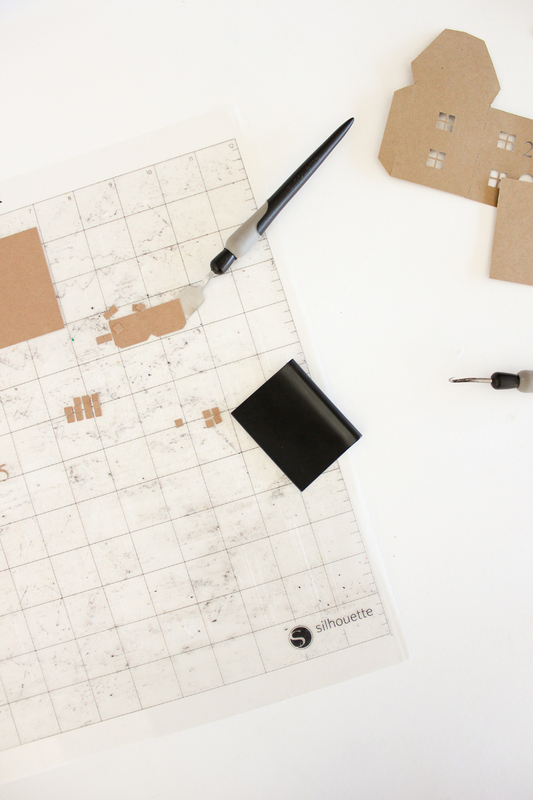 Your best bet might be to use the pdf template and hand cut them yourself. Especially if you’re not making the full 25 houses for the advent, it would be easy to trace and cut as many as you need. If you need that file sent by attachment, email me: delia.randall@gmail.com and I’ll send the file right over. Thanks very much!! They are beautiful!! Hi! I tried printing the PDF file, but when the page comes out of my printer, only the text is visible. The house templates will not print no matter what I try. Has anyone else encountered this issue? Not sure what to do. I’ve never come across this problem before. Please advise! Thanks! I am so sorry it’s giving you issues. I have not had anyone else complain of the same issue. Maybe if I email you the file it will do better? Email me: info@deliacreates.com and I’ll send it to you. Is this still available? It’s now December 2018. It is! You can cut the advent houses any time. If you can’t access the files, email me: info@deliacreates.com and I’ll send the files to you. Thank you so much .. this is so cute. I have cut several paper houses over the years with my silhouette , to hang on the tree, to take to the cabin with grandkids so they can color and assemble, to make halloween houses for my nieces and nephews rooms and so many things.. because I love houses, but I also love advent calendars or count down gifts. 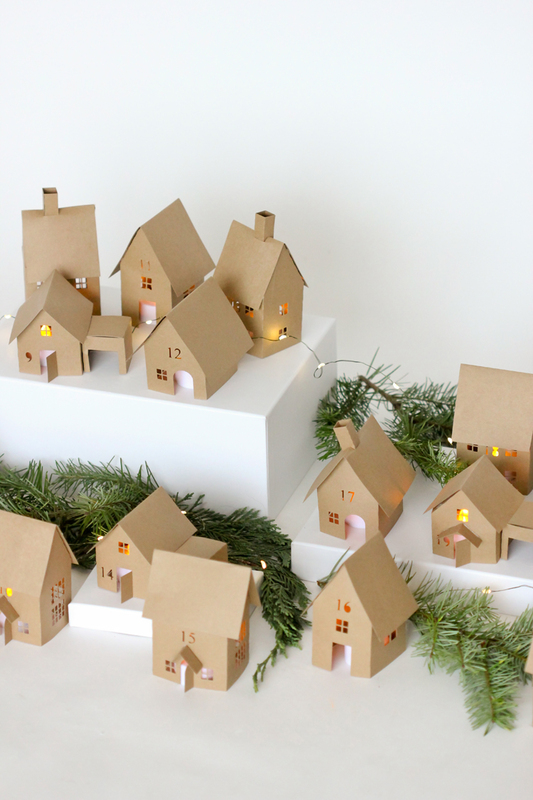 These houses would be cute on top of little boxes with gifts for advent, but also for anything else.. I will def. be using them, thanks again!! You may not use any images from this site unless you meet one or more of these requirements: 1) You receive permission in writing from Delia Randall for each specific image you would like to use. 2) You use ONE image in a round up or feature post with a link back to the appropriate post or the main site for credit and for full posts/tutorials. Thank you!